Welcome to Real Dinosaurs where your imagination comes to life with our realistic dinosaur. 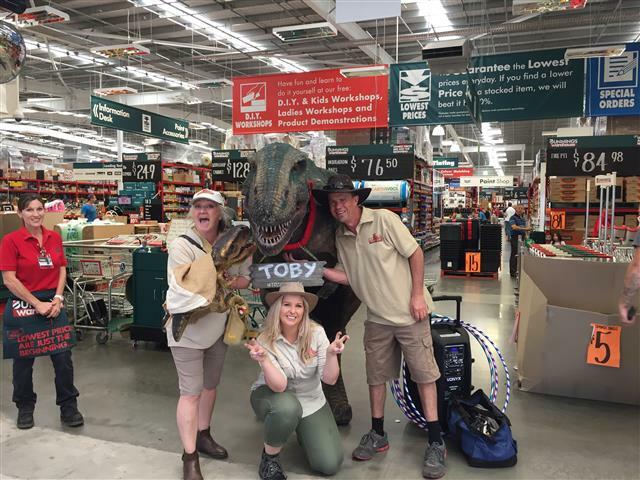 We are the best dinosaur hire company in Australia offering all kinds of amazing action and adventure with the world’s best-known dinosaur Toby the T-Rex and Razor the Raptor, whether it’s a corporate function, festival, product launch, workplace prank or birthday party, Real Dinosaurs specialize in all aspects for any event. We also cater for your special event needs. 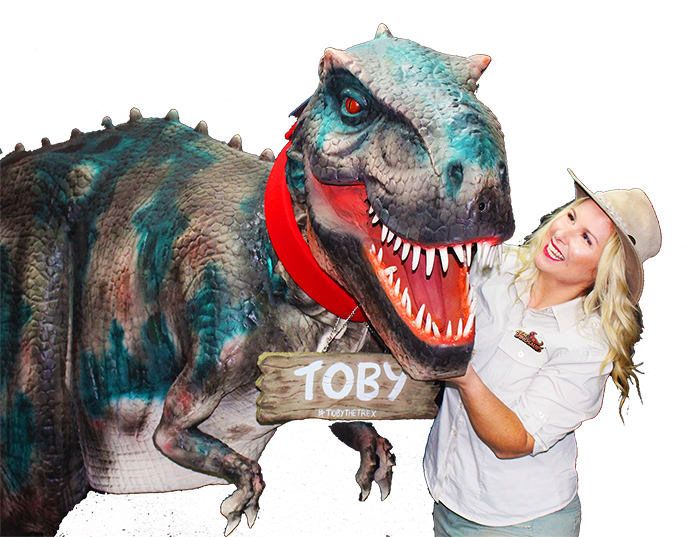 Real Dinosaurs have an amazing team of well-trained and professional dinosaur puppeteers and handlers to entertain your guests for a mind-blowing dinosaur experience. We provide the best quality of service to our customers for you to have the most wonderful celebration. Real Dinosaurs is committed to bringing the most unique dinosaur experience you could ever wish for! Turn your party into an extraordinary adventure for the ultimate party experience. Take your guests into a thrilling Jurassic Adventure with our fully hosted show presented by professional puppeteers and dinosaur handlers. Let them have fun playing various dinosaur-themed games and complete the adventure with an interactive experience with Toby the T-Rex or Razor The Raptor. When your party is visited by our dinosaur friends, you know its going to be a BIG success. Our parties can be tailored for all ages and themes. The kids will have lots to talk about at show and tell. Having a community or event? Enjoy the celebration with our wonderful dinosaur experience. 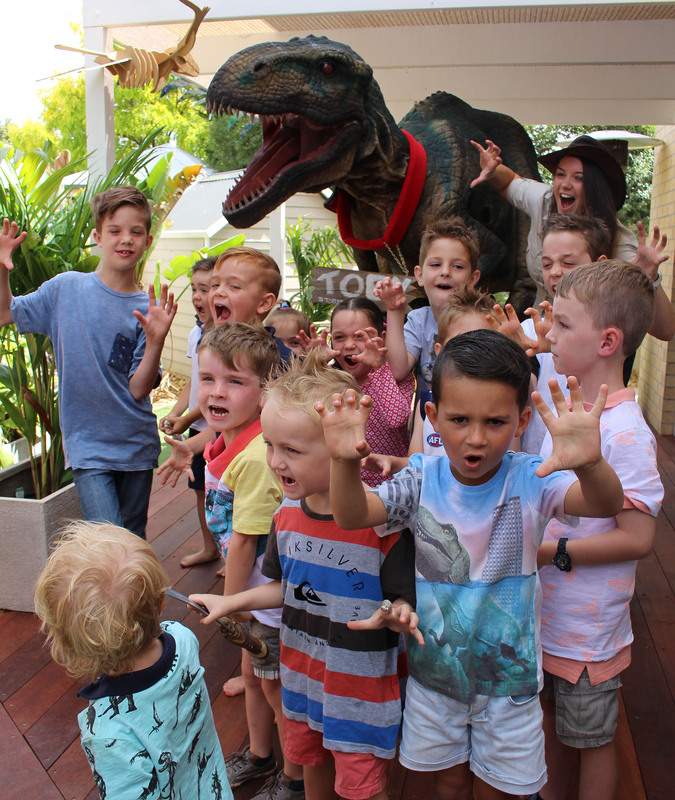 Exhilarate everyone with our life-size dinosaurs wandering around the community and make them feel as if they have gone back to the Jurassic Era. Needing a performance on the main stage? 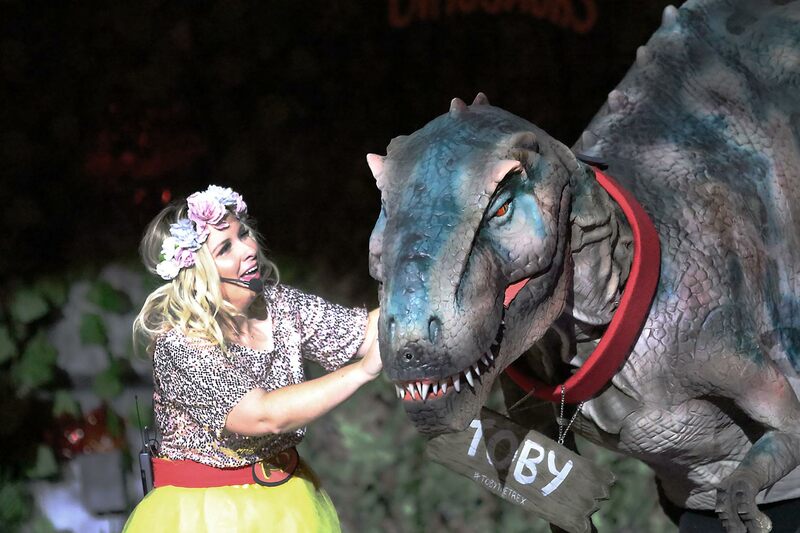 Our fully choreographed shows operated by professional puppeteers and experienced dinosaur handlers will both excite and delight all ages from 3 to 93. Events that RD have appeared: Craigieburn Festival,Broadmeadows Festival,Dandenong Festival,Glenferrie Festival, Bay City Music Festival-Geelong. Creating brand awareness, being intuitive and being ‘top of mind’ when it comes to marketing one’s product and or service can be a challenge at the best of times as modern technology and the wider public in general, are more advanced, knowledgeable and seasoned when it comes to marketing techniques. 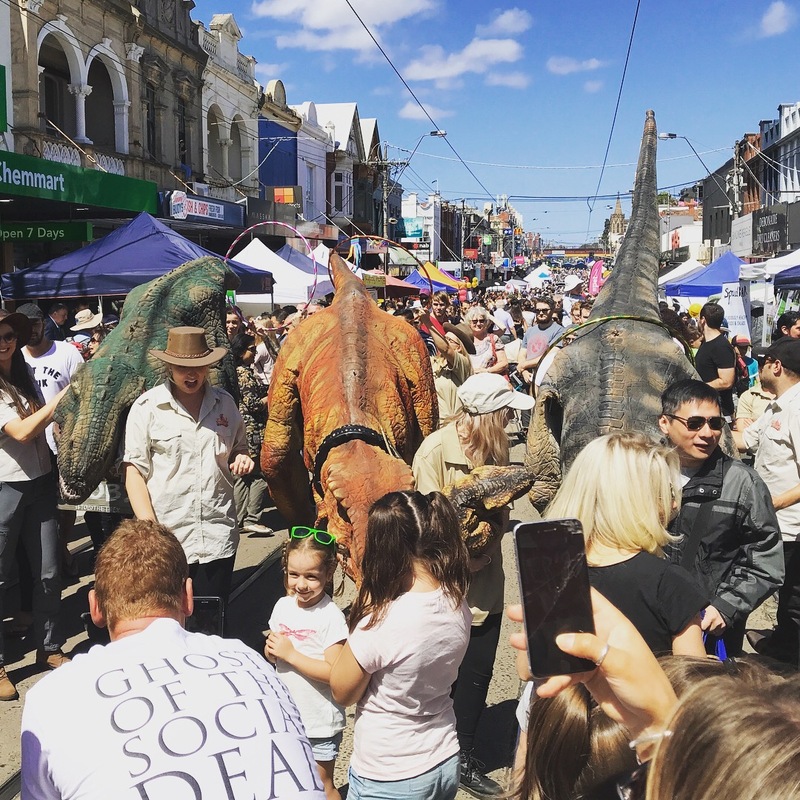 As seen on Channel 9’s ‘The Footy Show’ & Channel 7 nightly news, Real Dinosaurs are available to hire to create brand awareness for your business! Imagine going back in time… back to prehistoric days where dinosaurs used to roam! Featuring 4 dinosaurs, 5 performers, funky music, a battle stage and interactive dancing, this show is suitable for ages 1 to 100! Its the perfect night out as a family. 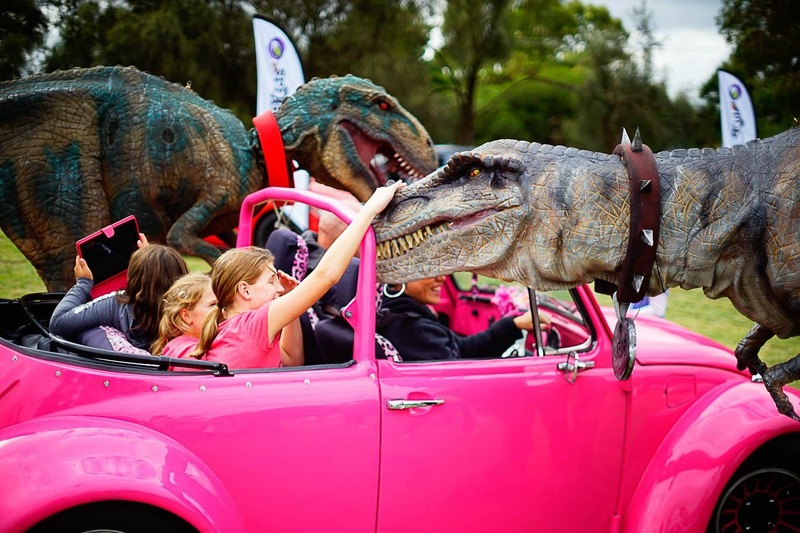 Your venue will be transformed into a prehistoric jungle that will take children and families on a journey – back 65 million years ago – to roam with T Rex’s and Raptors! The show is high energy and lively, with loads of special surprises in store! It will keep the entire audience captivated. With pre show entertainment with a face painter, photo opportunities with Regina the T Rex and warm up entertainment this show is truly entertainment packed. These shows are limited dates – check below when and where the next show is near you! Contact us to discuss your next corporate event! I’m just writing to say how fantastic your staff are. My son and his friends had an amazing time, my son even said it was the best day EVER!  Our dinosaurs walk, blink and ROAR so they look and sound just like genuine pre-historic creatures. Our dinosaurs are so life-like with costumes crafted from the highest quality of materials.